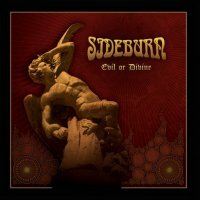 In the growing pantheon of Doom Metal bands emerging from the Swedish scene, Sideburn are definitely well above average. Not to be confused with the similarly named Southern Boogie merchants from Switzerland, Sweden's Sideburn operate in a much more riff driven, Stoner/Doom Metal-oriented field but without losing sight of melody. Dating back to the late 1990s, 'Evil Or Divine' is their fifth full album to date, a much anticipated (by some of us at any rate) follow-up to 2012's largely well received 'IV Monument' opus. Of the seven songs that make up this release, all but two clock in at well over six minutes with the epic 'The Day The Sun Died' cruising past the eight minute mark... but hey, I'm getting ahead of myself. 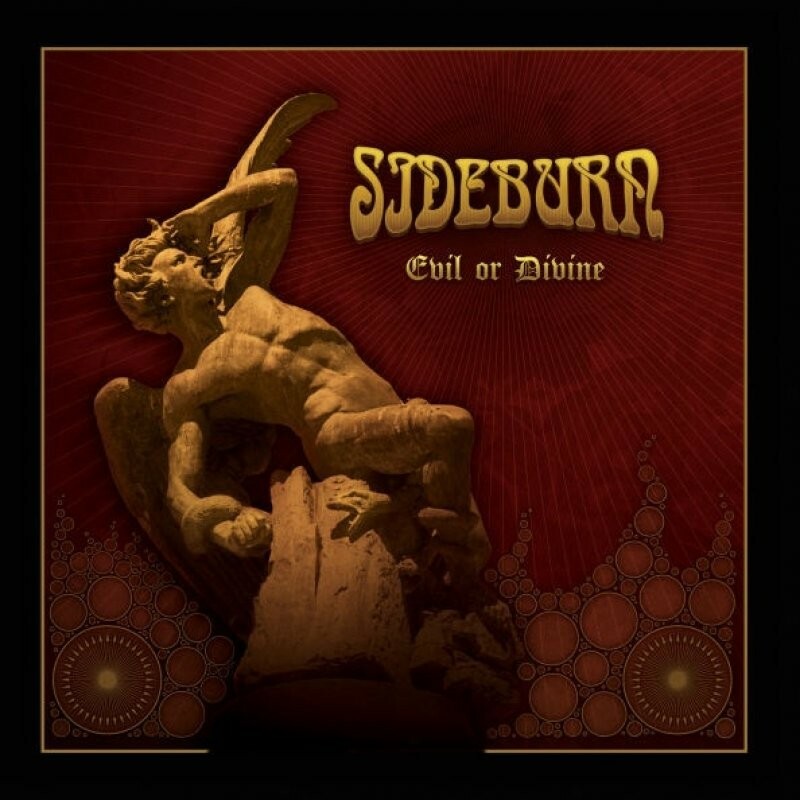 Put together by guitarist Morgan Zocek around 1998, Sideburn had a fairly long gestation period, their debut 'Trying To Burn The Sun' eventually emerged in 2002. Over the years they've had a couple of line-up tweaks, the most notable being the addition of vocalist Dimitri Keiski who replaced original front-man Jani Kataja a couple of years ago. Although at the time of their formation Stoner bands such as Kyuss and Fu Manchu featured heavily in their diet, when you strip it back to basics their sound is heavily influenced by the holy triumvirate (Black Sabbath, Deep Purple and Led Zeppelin) as well as Michael Schenker, Dio, Soundgarden and Spiritual Beggars. Dominated by the gloomy, behemoth-like riffs of Zocek and bassist Martin Karlsson, album opener 'Masters And Slaves' has a remorseless, rumbling intensity that just reeks of classic Sabbath with a bit of a Rush infusion... nice old-school soloing too! Following cut 'Sea Of Sins' ups the pace a little, the Neo-Classical undercurrent and twisted Eastern influences projecting a dark, prime time Rainbow vision onto the ubiquitous Sabbath vibe; the more I listen to it the more I get a weird 'Stargazer' flashback! Again Zocek puts together a very well structured solo which anchors him firmly in Tony Iommi, Ritchie Blackmore and Jimmy Page territory. Elsewhere, 'When Darkness Calls' throws a dollop of Zep into the melting pot (although on first listen the track "borrows" liberally from the Iommi songbook – think 'Black Sabbath'), 'The Seer (Angel Of Death)' has a solid, mid-paced groove, 'Evil Ways' ups the ante even further and has a great blistering solo in the middle whilst sprawling final cut 'Presence' is real conundrum of moods. Standout cut for me though is the aforementioned epic '...Died', a real master-class in Doom intensity with a Progressive flow that melds Sabbath, Dream Theater and Soundgarden into one gloriously hedonistic riff fest. I wouldn't quite put them in the Sorcerer or Candlemass class just yet, but in the growing pantheon of Doom Metal bands emerging from the Swedish scene, Sideburn are definitely well above average.